I have been very moved by Sara Ahmed’s resignation from Goldsmith’s College, University of London, over its failure to deal adequately with sexual harassment: “I have resigned in protest against the failure to address the problem of sexual harassment. I have resigned because the costs of doing this work have been too high.” She has written about this here and here. 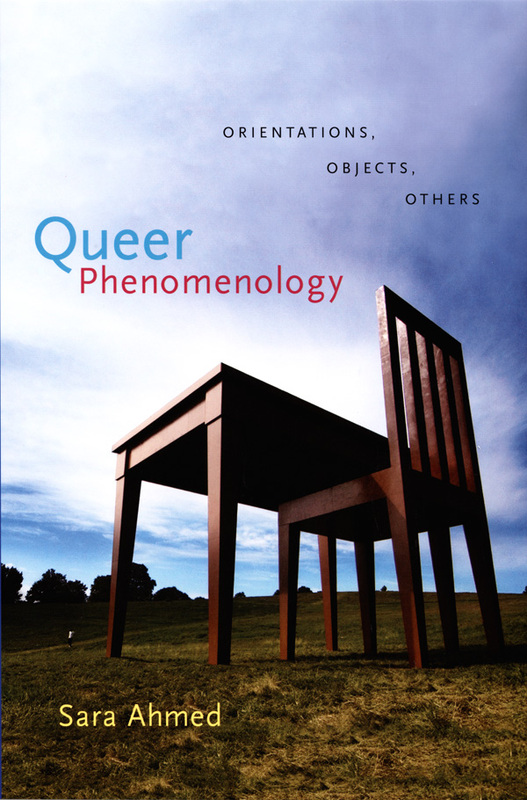 I don’t know Professor Ahmed personally, but I have found her work to be stimulating and tremendously helpful in my own thinking (I’ve been raving about her book Queer Phenomenology to anyone who will listen for quite a while now!). Having recently left a university, I know that it’s not easy to do, and I can’t imagine doing so would have been easy for her, even though the circumstances of her leaving are very different to mine. She used her agency in the context she was in to chose to leave over the issue of sexual harassment at her institution, understanding this as a feminist act. Goldsmith’s, like all modern institutions, prides itself on its equality and diversity policies (Goldsmith’s, like so many, devotes a page on their website to this topic), but as Ahmed points out, these policies mean little if the problem of sexual harassment is allowed to continue; I also know this from being a trade union case worker. The “performativity of saying diversity” is something my sister-in-law, Eike Marten, has written about in the German context (her book on this topic is being published by Routledge later this year), and the singular failure of institutions to adequately address these topics despite a string of Athena Swan and other awards is something that Ahmed’s actions have highlighted. Identifying mechanisms to address this problem is the next step, particularly in the light of the increasing number of cases beginning to appear in the mainstream (academic) press, and in my view this is what makes Ahmed’s resignation at this time so important. Universities tend to protect famous (almost always) older male scholars from the consequences of their sexual harassment of (almost always) younger female scholars. I know this personally: right in the middle of my undergraduate finals, I was a witness in a university procedure against a senior professor who had sexually harassed me and many other undergraduates – men and women – over a protracted period of time (and yes, choosing a date for the hearing in the middle of the exam period was, I think, deliberate on the part of the university). The whole thing was largely covered up, and the professor in question continued his work in academia and the church; unfortunately, a recent FOI request I made to Aberdeen University resulted in no documents being found on this topic, and as he is still alive and active in his field, I probably shouldn’t name him publicly even now, for fear of litigation. That happened in 1990, but Ahmed’s resignation a quarter of a century later clearly indicates nothing much has changed in UK academia. It’s high time it did. Last week I had a Twitter conversation with David Pratt, the foreign editor of Scotland’s premier newspapers, The Herald and Sunday Herald, and I then wrote a short blog posting about this on another blog I use. Some of the themes and issues I address here will be of interest in reflecting on how we think about groups like Islamic State and others. In particular, students engaging with questions of categories and identity questions might find this interaction and my subsequent reflections helpful. Students: this is how to REALLY annoy your lecturers! Posted on 10/03/2014 | Comments Off on Students: this is how to REALLY annoy your lecturers! Lecturers try, they honestly do. To make life easier for students, I mean, whilst still ensuring students do the work required to understand the subject. And yet sometimes, questions are asked that are so irritating, that it makes us want to scream. When is the essay due? All the information about the essay is in the course handbook. What referencing system should I be using? Grrr… have you thought of looking in the course handbook? Where should I hand the essay in? I don’t have a copy of the course handbook. You can download it from the course website (On a good day I won’t even ask how you got halfway through my course without a course handbook). What should I read for my essay? Err… I was hoping you’d tell me what to read. The book chapter you asked us to read isn’t about the topic. The chapter title doesn’t mention the topic. That article you made us read for next week’s class – is there a summary of what he says online somewhere? (As I stifle the urge to bang my head against the wall). I am doing next week’s seminar presentation on this topic. Where can I find more reading? You say this happened, but I read an article in the newspaper last week that said it wasn’t like that at all. Can I cite the Daily Mail in my essay? Only if you wash afterwards. [Not really a question, but I don’t need to hear this one again. Sorry I’m late, I had a rough night last night. I’ve realised the seminar presentation I signed up for at the beginning of the semester, well, I can’t do it next week as it’s my new boyfriend’s birthday the day before. Can I switch to the following week? I won’t be at the lecture next Tuesday because my girlfriend is visiting me for a few days. Can I come and see you in your office hours the following week and you can run through the lecture with me again? But I want to write the essay question on that topic. There’s too much reading on your course, so I’ve decided to switch to History. When do we get our essays back? … what, that I don’t have a weekend?! Comments Off on Students: this is how to REALLY annoy your lecturers!